The University of Maryland has recently signed an agreement with Microsoft to allow students, faculty and staff to download Microsoft products such as Office 2010 for Windows, Microsoft Office 2011 for Macintosh, and Windows 7 for free from the UMD Software Center (physical DVD copies may be purchased for $10 at the Terrapin Technology Store). Faculty and staff may only download free Microsoft software intended for work-at-home and personal use from the UMD Software Center; all software for institutional use must still be purchased from OIT Software Licensing for a fee of $10. 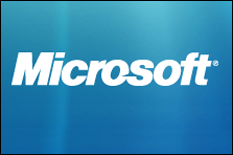 For more information about available Microsoft software and to get your own copy, please visit the Division of Information Technology's UMD Microsoft Software page.